When Bruce Ball, Architect of Questyle Audio’s US operations, first became involved with Questyle it was to bring their groundbreaking patented 5GHz wireless technology to the US market. While he had great success with the product, Questyle’s CEO and chief designer Jason Wang decided to concentrate their efforts on their Personal Audio products which were the core of their business; that is until now. Introducing the Questyle Audio SHB2 MASTER Super Source: a combination USB DAC/Preamplifier/Questyle QP2R Dock and 5GHz Wireless Transmitter. What makes the Questyle 5GHz wireless truly special is that they have secured their own frequency from the FCC and are able to transmit up to DSD256 wirelessly. So, what does this have to do with Personal Audio, I hear you ask? Enter the Questyle Audio CMA Twelve MASTER Current Mode DAC/Preamp/Headphone Amplifier/Wireless Receiver. Imagine coming home after a long day of running with the rodents, dropping your QP2R in its dock for a little recharge, then crossing the room to your favorite chair, picking up your reference level headphones to watch a little TV on the other side of the room, then when your show is over, picking up the remote and cueing up a few choice DSD tracks on the QP2R without having to leave your chair. 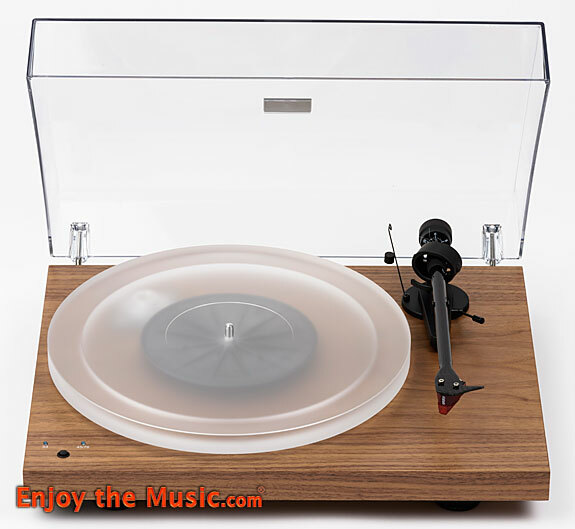 The “MASTER” designation refers to Questyle Audio’s reference line of products. Like the famous Questyle Audio “Gold” Stack Reference System, the MASTER units are fitted with a ROGERS Ceramic Printed Circuit Board with Gold traces for an unparalleled noise floor as well as selected components to ensure the highest possible sound quality. Employing the AKM AK4490 DAC chip and using Questyle’s patented True DSD technology the SHB2 MASTER and CMA Twelve MASTER are able to accept and transmit up to PCM384, DSD256, and 32Bit PCM, and like all Questyle products utilize their patented Current Mode Amplification offering 0 TIMD and a linear bandwidth in excess of 400 kHz. The Questyle Audio SHB2 MASTER Super Source by itself can act as a reference quality DAC, USB DAC/Preamp or Wireless Transmitter capable of connecting via USB to not only computers but to most streaming devices with USB output. For the Preamp output (switchable fixed or variable) it offers both Balanced and Single Ended outputs switchable between Standard 14dBu and Studio 20dBu, as well as S/PDIF (Coaxial or AES/EBU) and for inputs it accepts Single Ended Analog, USB, S/PDIF (Coaxial), Optical, as well as the QP2R Dock. Add a QP2R and the SHB2 MASTER becomes a full functioning self-contained music server with full remote control operation of the QP2R and up to 464GB of storage (using currently available 400GB microSD Card). The front panel of the SHB2 MASTER houses the power switch, a switch for the QP2R Dock to select between USB DAC (for using the QP2R as a music server) and charging station (also allows loading of files from computer to internal storage or micro SD Card), a switch to turn on the 5GHz Wireless, a source select button, a small display indicating source and sample rate and a volume control knob. On the bottom, you will find the Standard 14dBu and Studio 20dBu output switch and the fixed/variable output switch as well as a pairing button for the 5GHz Wireless. Incorporating the lessons, technology and features of the Questyle Audio “Gold” Stack Reference System, the Questyle Audio CMA600i and the Questyle Audio CMA400i before it the Questyle Audio CMA Twelve MASTER Current Mode DAC/Preamp/Headphone Amplifier/Wireless Receiver is a true heir to the Questyle Audio legacy as their new flagship reference piece (the Twelve refers to the 12 years since the invention of Current Mode Amplification). On the input side the CMA Twelve MASTER accepts Single Ended Analog, USB, S/PDIF Coaxial, S/PDIF AES/EBU, Optical, and 5GHz Wireless; for preamp output switchable fixed or variable it features switchable between Standard 14dBu and Studio 20dBu both Balanced and Single Ended outputs on the back and when the Headphone Amplifier is engaged on the front you have a 4 pin XLR Balanced output, a ¼” Single Ended output, and a 4.4mm Balanced output. Also on the front panel is the power switch, LED displays for input, sampling rate and digital lock, a source select button, a switch to select between preamp out and the Headphone Amplifier, a bias control switch, and the volume control knob. On the bottom, there are the four gain switches (one for each amplifier) and on the back are the Standard 14dBu and Studio 20dBu output switch and the fixed/variable output switch as well as a pairing button for the 5GHz Wireless. The bias control switch requires a little explanation; it allows you to switch between pure Class A (high bias) for sonic purity and Class A/AB (standard bias) for greater power output. Comprehensive testing of the two units required listening to them separately and as a unit. I used both USB and the QP2R as sources and for headphones, I used the MrSpeakers ETHER C Flow 1.1 Orthodynamic Headphones and the Noble Katana IEMs. To maximize noise floor I ran the Questyle Audio CMA Twelve MASTER in low gain mode for most of my tests. As a preamp, the Questyle Audio SHB2 MASTER Super Source performed masterfully, as one would expect from a reference quality product. Without signal, with my amplifiers set to full gain and the SHB2 MASTER turned all the way up there was dead silence even in Studio 20dBu mode. Thanks to the Current Mode Amplification the tonal balance was absolutely neutral, neither rolling off the transients as a tube amp would nor exhibiting that hard metallic edge associated with standard solid state amps. Playing Arlo Guthrie’s live performance of “Coming into Los Angeles” off of Woodstock (16/44.1 kHz) offered a realistic, dynamic, live sounding soundstage with a stage edge presentation and a musicality that let you listen to it over and over, exemplifying Questyle’s digital circuit’s ability to get the most out of even 16/44.1 kHz. Similar preamp performance was to be had from the CMA Twelve MASTER, whether using USB or Wireless transmission from the SHB2 MASTER with the QP2R as signal source. The next critical test was to compare signal paths between direct USB, Wireless from USB and Wireless from the QP2R and for this test I chose Stravinsky’s “The Firebird Suite” as performed by Eiji Oue conducting the Minnesota Orchestra (DSD). I’m happy to say there was no discernible difference regardless of source. As to the CMA Twelve MASTER as a headphone amp, it performed explosively, using its 112dB plus of dynamic range to the fullest. The presentation was box seat center stage at the Hollywood Bowl with a large but believable soundstage and imaging was laser perfect and devoid of drift, each instrument identifiable by timbre and placement. To explore the depths of the CMA Twelve MASTER’s noise floor I broke out the Noble Katanas which remain to date the most efficient IEMs I have heard, and was greeted with absolute silence until I reached about half volume (quarter volume being the max level for music even with my quietest recordings) making the CMA Twelve MASTER the quietest amplifier I have listened to so far (it should be noted that no line conditioning or fancy power cords were in play, in fact just the opposite as my computer, two monitors and several USB chargers all run off the same outlet). This translated to incredible space around the performers as evidenced by “As Tears Go By” (The Rolling Stones – Big Hits (High Tide and Green Grass) – DSD) which was presented with an in-studio sensibility, the acoustic guitar crisp and dynamic, the vocals natural and intimate with the natural echo of the sound booth textured, while the orchestra (recorded in mono) was full and centralized with a clear timbre separation of strings and woodwinds. One unique experience I noticed was that you could listen to single-ended and balanced at the same time without negatively effecting either which argues that separate finals are in play. Returning to the ETHER C Flows I noted that one side effect of the extreme dynamic range of the CMA Twelve MASTER was that I could clearly hear the tape hiss on analog recordings such as “Non Mi Lasciare” by Dario Baldan Bembo, which again had an epic soundstage despite being a 16/44.1 kHz file. The CMA Twelve MASTER also exhibited that signature Current Mode Amplification ridged control of subsonic bass, offering deep extension and incredible low-level low-frequency detail. As a final test, I set the CMA Twelve MASTER to high gain and standard bias and while I don’t own a pair of headphones that would require such massive amounts of power I do know they exist, so it was important to verify that owners of said headphones would not be making fatal sacrifices. The noise floor remained ridiculously low (although to listen to music I had to lower the volume to a little over ¼ ). Harry Nilsson’s “The Lottery Song” (Son of Schmilsson – 16/44.1 kHz) was exceptionally musical despite being 16/44.1 kHz and running Class A/AB. Nicky Hopkin’s piano was full and rich and Harry’s voice was intimate and silky amidst a completely enveloping soundstage. I will admit though that the same track was a bit more honeyed in pure Class A. If I have any complaint at all it is that the Questyle Audio SHB2 MASTER and CMA Twelve MASTER share the same remote. This meant it was necessary to switch sources manually, which was not really a problem as the units were right next to me. In most situations, since they will most likely be on opposite sides of the room this will probably not come into play. Once again Questyle Audio has reset the bar for solid state amplification and show the musicality that can be achieved with a chip-based DAC, reinforcing the lesson that the most important part of a DAC is the analog section. Whether taken individually or as a set the Questyle Audio SHB2 MASTER Super Source and the Questyle Audio CMA Twelve MASTER Current Mode DAC/Preamp/Headphone Amplifier/Wireless Receiver are “Masterful” products and well deserving of the titles “Flagship” and “Reference”. When coupled with the Questyle Audio QP2R you have a system with extraordinary versatility and performance. For an audio purist, who wants to listen to the music as it was recorded rather than polished to what someone else thinks sounds cool, I can give no higher recommendation than the Questyle Audio SHB2 MASTER and CMA Twelve MASTER. Voltage：100-120V or 220-230V，the voltage is switchable. With USB, S/PDIF, OPTICAL or ANALOG signal input, or in the HUB mode, the Super Source System will transmit signals via 5GHz Wireless mode and communicate with Questyle’s 5GHz Wireless receiving device. · Voltage：100-120V or 220-240V，the voltage is switchable.